TCL is definitely shaking things up this year. 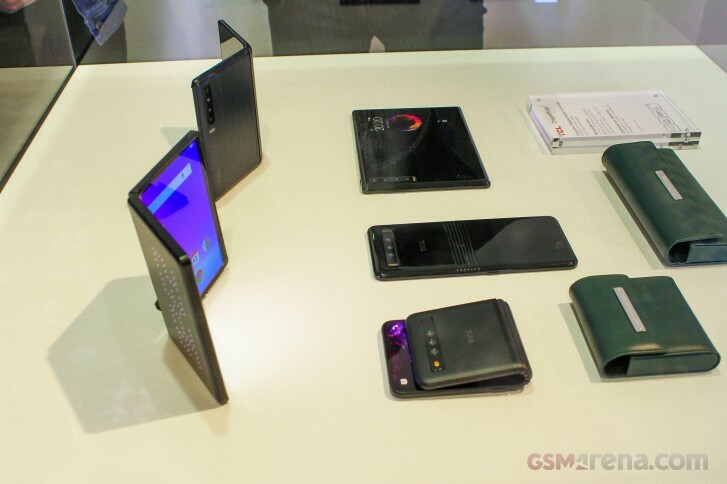 Naturally, MWC saw the launch of a slew of affordable alcatel devices (3, 3L, 1s and 3T 10). 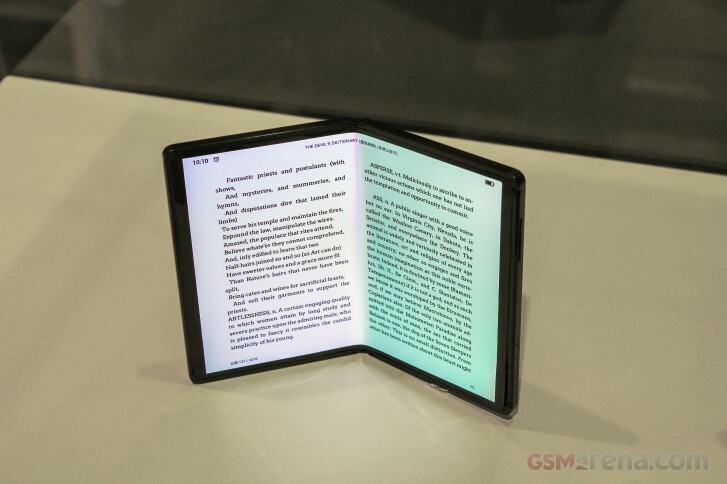 However, the Chinese corporation also presented itself in a brand new light at the event, dipping its toes into the trendy and cutting-edge foldable display scene, in hopes of establishing itself as a tech innovator and perhaps even trend-setter. Definitely a new role and quite the goal to strive toward. 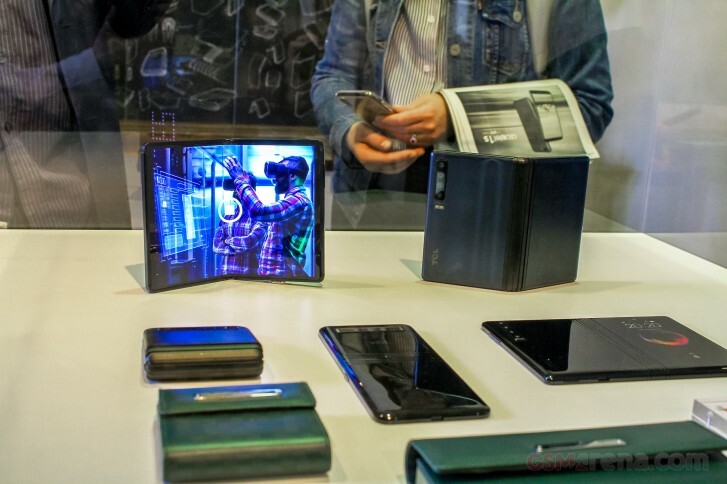 The way TCL is currently going about this is form the ground up, solving the issues with foldable displays one at a time. The company currently sees these as three in total. Firstly, there is the task of actually making a foldable panel. This is where TCL's admittedly less commonly known sister company comes in. 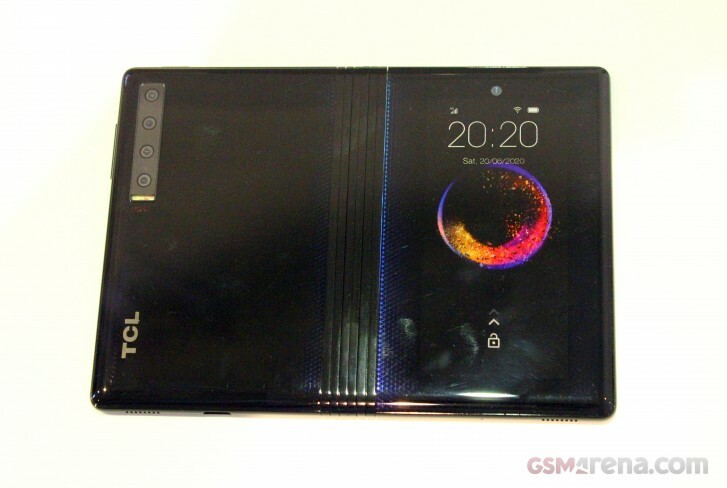 CSOT (China Star Optoelectronics Technology) has apparently already created a custom foldable AMOLED panel for TCL. We actually got to see some early prototypes of the module in action on the Barcelona show floor. But, more in that in a bit. The second part of the puzzle is making a good frame and hinge mechanism to support the actual folding action of future devices. This problem has apparently also been solved already, this time by TCP themselves. Enter the "DragonHinge " - a proprietary design TCL is now officially revealing to the world. 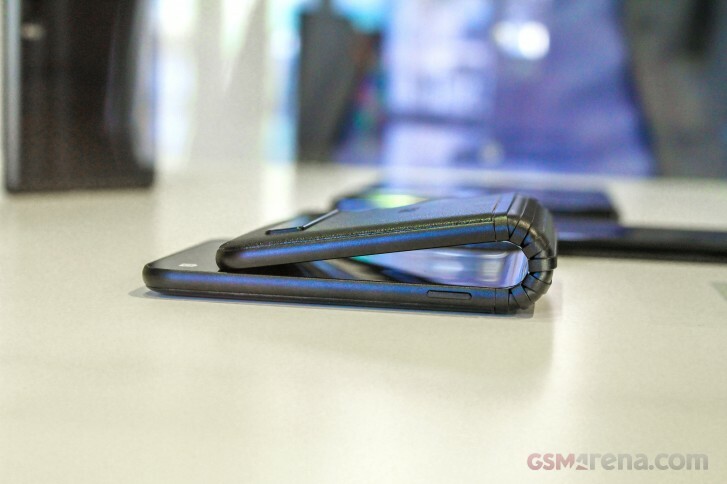 Details on the actual mechanism are still sparse, but on the surface it does appear to behave a lot like what Samsung and Huawei have already showcased in the Galaxy Fold and Mate X, respectively. Of course we can't really know the intricacy of what's going on inside its rubbery apparently scale-like surface (hence the DragonHinge nomiker, although we don't really see the resemblance). 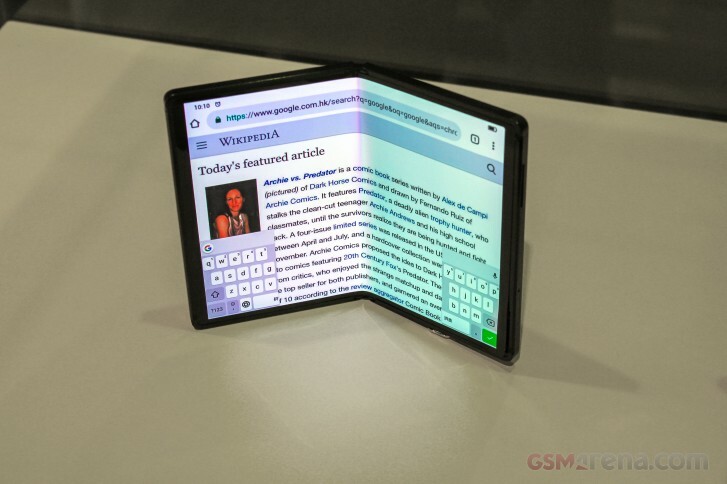 Still, if foldable is really going to become a thing, we can only expect more designs to start popping up all over the place. Pretty soon we'll have to develop some criteria for accurately testing and comparing these. But, we digress. So, that means TCL is done then and is releasing a foldable phone as well? That would have been one serious bombshell of an announcement. Unfortunately, that's not the case. Instead the company brought out a few early prototypes to show journalists. No touching, though! So, an actual device is still a ways off. Definitely more so than what is currently going on in camp Samsung and Huawei. This is apparently where the third and final piece of the puzzle comes into play. As TCL sees it, the other important bit is nailing the experience. Mostly from a software standpoint. However, like Peter Lee - General Manager, Global Sales and Marketing at TCL puts it, there is a major element of viability to consider as well. Apparently TCL opted against riding the hype train for an early first gen device release and instead decided to wait it out ( a clear jab at recent major announcements for sure). Marketable devices based on this tech are expected to start appearing in 2020. 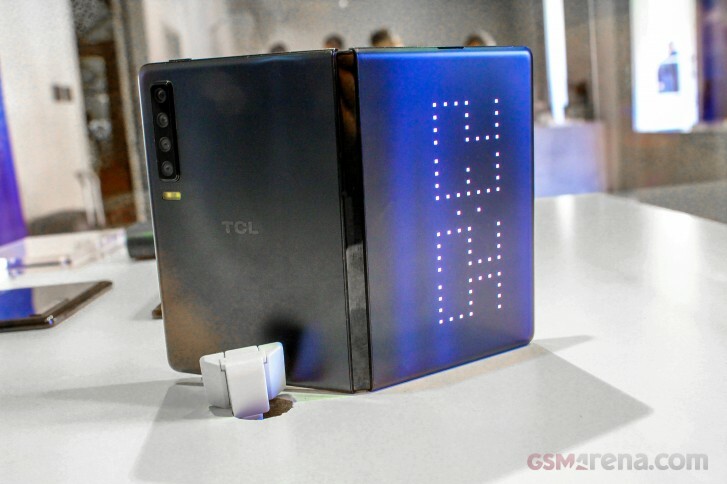 For the time being, what we got to check out at MWC are a number of different design TCL is experimenting with. YOu can browse through the photos and see how some of these might just look. It worth noting that looking beyond their early nature and imagining a more finished an polished product, many of these prototypes still looks a bit more "tame". 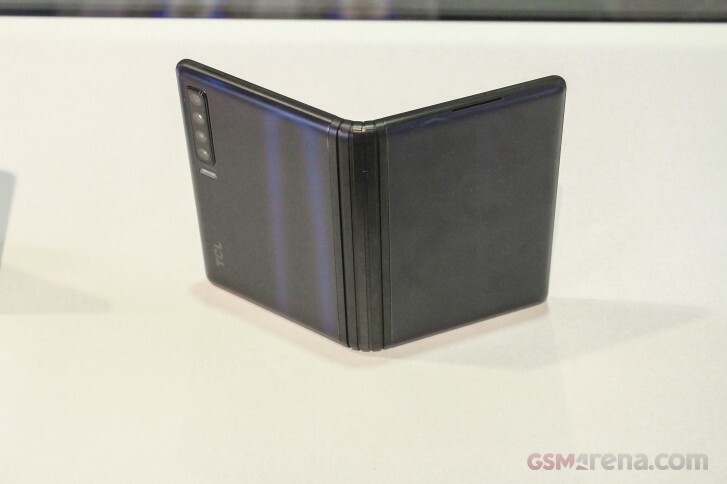 This leads us to believe that TCL could actually be playing the ling game here and striving to release more reasonably priced or perhaps even mid-range foldable display phones eventually. Even so, we kind of enjoyed seeing certain little bits of the design, like the dot-LED matrix style clock on the side of one of the units. This did light up and looked pretty impressive in person. Speaking of things lighting up, a few of the demo units did feature actually working displays. Well, to be fair, since we weren't allowed to touch them, we can't attest as to how functional these actually are, but there was an image displayed on some of them. Our initial impressions here are kind of a mixed bag. 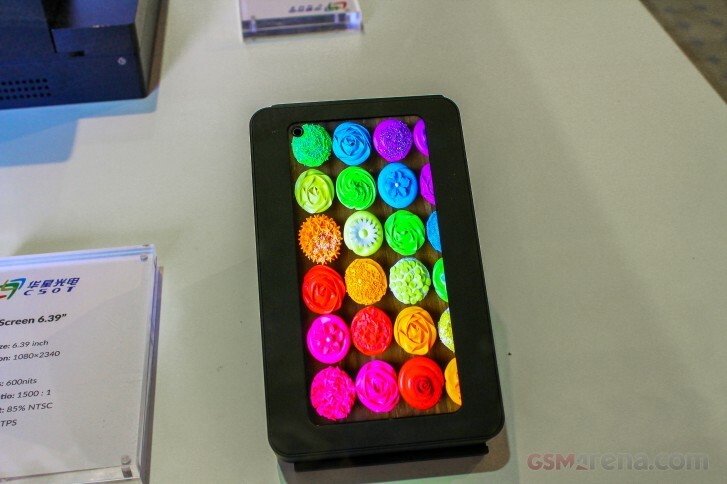 Some of the images definitely looked impressive, but certain artefacts of foldable tech, we've been dreading, like color shifts and noticeable seams did seem to be more noticeable on some of these CSOT displays. Now this might be entirely due to the early nature of the prototypes, but even so, we feel like we need to share some of our initial observations. Having talked to TCL representatives at the venue we also found out a few extra bits and pieces regarding product strategy. 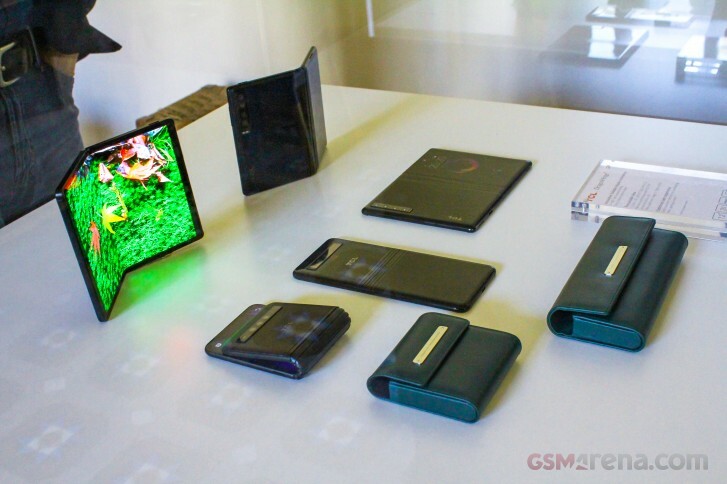 One pressing question we had is what brand these new foldable display devices are heading toward. Since TCL has alcatel and BlackBerry notably under its wing, we hoped that getting an answer one war or another could potentially give us hints of the general pricing segment TCL is aiming at. As it turns out, all options are currently being taken under consideration, But a whole new TCL brand is definitely a viable option as well. Maybe we have that to look forward to. 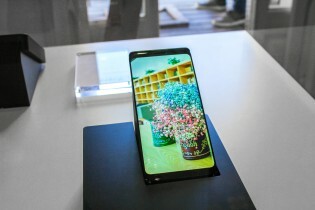 And speaking of different device and price segments, foldable displays as trendy and high-tech as they are won't really be the standard for some time to come. Plus, they clearly won't be right for everyone. At the TCL booth we also encountered a pair of more conventional CSOT displays that should be coming to TCL devices shortly. 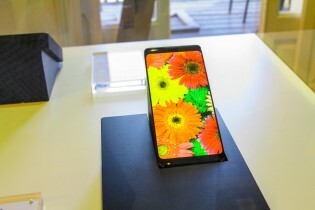 One is a large 6.39-inch LTPS panel, with a 1080 x 2340 pixel resolution, complete with a punch hole in the top corner. It boasts a density of 404ppi, a brightness of 600 nits, 1500 : 1 contrast ratio and 85% coverage of the NTSC color space. 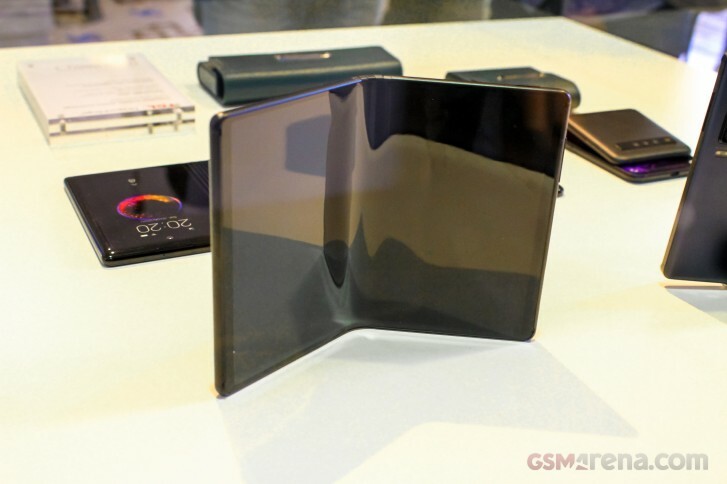 The other was a rather intriguing curved AMOLED panel. Or rather a flat flexible panel, curved into shape by the glass on top of it. Its specs include a 6.2-inch diagonal, 430 nits of brightness, 531ppi, 100000 : 1 contrast and 100% coverage of the NTSC color space. It is also a nearly borderless display, sending off quite a bit of a Samsung curved display vibe. These are just some of the things you can look forward to from TCL. Pretty ambitious and interesting stuff indeed.